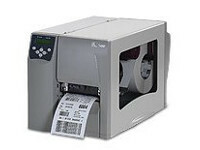 The Smart Choice—Print and Encode Data Using One Advanced Solution Fulfilling the need for a compact RFID printing solution that can encode smart labels at the point of use, the R2844-Z printer/encoder is one of the most versatile in the industry! 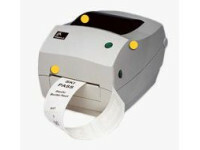 Designed for printing and encoding smart media such as wristbands and smart labels, the R2844-Z meets the needs of applications requiring greater processing speed and more connectivity choices—such as standard serial, parallel, and USB ports, and optional Ethernet. It also offers the widest range of supported 13.56 MHz RFID transponders, including Philips’ I-Code®, Philips’ EPC, TI’s Tag-it®, Inside Technologies’ PicoTag®, and ISO 15693 from Philips, Infineon, and Texas Instruments. Transponder sizes can range from 12 x 28 mm to 90 x 130 mm. 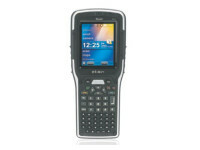 RFID from Your DesktopThe R2844-Z features a programmable print position for flexible transponder placement. With a compact footprint, and a powerful processor that delivers faster print speed, it is the ideal solution for low-volume desktop applications. 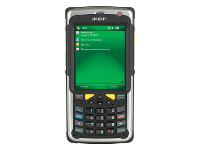 Because the R2844-Z is Flash upgradeable, new RFID protocols can be added as they are developed. • Operating humidity 10% to 90% non-condensing R.H.
• Storage humidity 5% to 95% non-condensing R.H.
• ZPL II®—Universal language for Zebra printers. 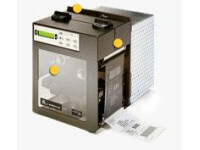 Simplifies label formatting and enables format compatibility with other Zebra printers. • Web View—Enables you to connect and control your bar code printer’s Web interface using a common Web browser. • Alert—Printers equipped with ZebraNet print servers will notify you via any-email-enabled, wired, or wireless device to minimize downtime. • 8 MB Flash memory with real-time clock for a total of 12 MB (10.75 MB available to user) for applications.